You are here: Home / News / Commercial Plumbing / Commercial Plumbing Is Quick With The Right Tools. Installing Stainless Steel Pipe Is Mega Easy For Commercial Plumbing Contractors. Commercial plumbing projects require stainless steel pipe because it is pivotal to industrial operations. It is heat resistant and will not corrode, making it the perfect option for manufacturing facilities. No matter the nature of the business, the piping to, from, and within the building needs to function as intended. Downtime for repairs affects revenue and lead times, which affects your reputation in the marketplace. Welding and threading stainless steel pipe connectors is a time consuming process that affects the profitability of your facility. When you require quick repairs to minimize downtime, choose stainless steel fittings installed with Megapress which cuts installation time down 50-90%. Why Is Megapress So Durable? Tight Connection. The grip ring and separator ring allows for a tight, strong connection on which you can depend. It Works. Megapress works with 304 and 316 stainless steel pipe meaning it works for almost any facility. Innovative Technology. Some leading Megapress manufacturers incorporate technology designed to determine if a fitting is unpressed, meaning we can ensure all fittings are tight and strong before finishing the project. Ensure your building incorporates modern technologies by choosing a plumber experienced and familiar with innovative technologies designed to keep your facility up and running. A-Able Plumbing Chooses Megapress For Commercial & Industrial Builds. Since 1988, A-Able Plumbing has been providing top notch plumbing services in the Shenandoah Valley of Virginia and the surrounding areas. 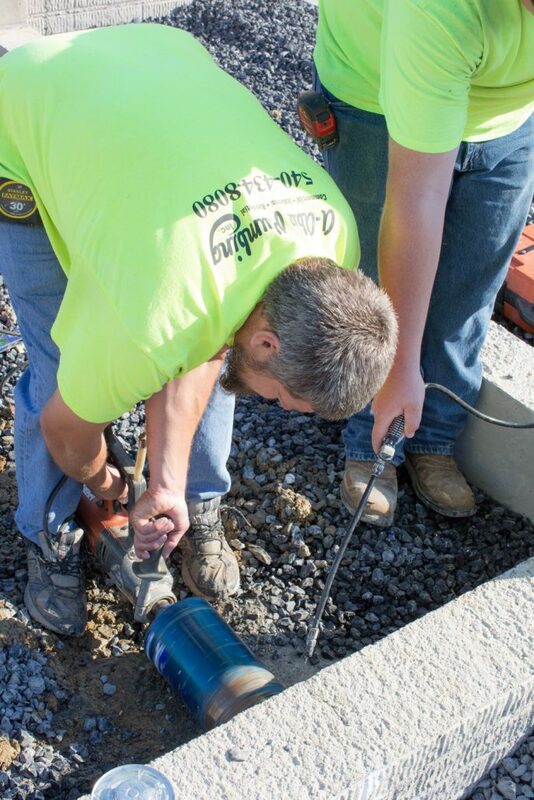 Our experienced team has the skill set to bid and complete the job to your specifications. From industrial and commercial piping solutions to custom residential plumbing, we are a local business committed to providing innovative solutions for every job. Contact us to learn more about the products and services that allow us to complete your job with the care it deserves. Installing A Gas Line Isn’t For The Handy Homeowner. A Tankless Water Heater Is More Efficient.